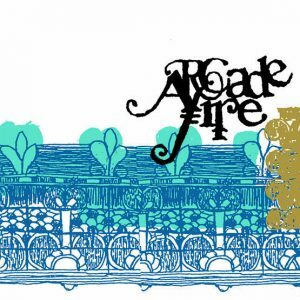 This 2003 EP including the track No Cars Go – later to appear on second album Neon Bible – was available only as a demo CD at the Canadian band’s live dates before being reissued by Merge in 2005. This Record Store Day, it’s released on vinyl for the first time as a stunning 12″ transparent blue-coloured and individually numbered EP, with augmented gold artwork. This black-vinyl 12″ single features the first appearance of the full-length demo of Let’s Dance, previously released in an edited form through digital download and streaming services for what would have been Bowie’s birthday on 8 January this year. The full-length version clocks in at 7.34 compared to the edit, which is 5.19 in length, with both versions mixed by Nile Rodgers (original co-producer of the demo with Bowie) in December of last year. The demo is backed by the live version of Let’s Dance, recorded live at Pacific National Exhibition Coliseum, Vancouver, British Columbia on 12 September, 1983 and mixed by Bob Clearmountain. This version can be seen on the Serious Moonlight concert film and was also previously available on the reverse of the Australian David Bowie Is exhibition-exclusive yellow vinyl 7″ single. 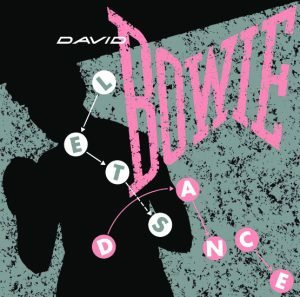 The sleeve of the 12″ single is a colour variation of the original Let’s Dance single cover. 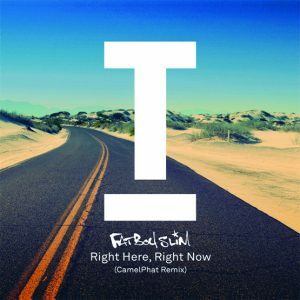 Right Here, Right Now. Released on black vinyl with picture sleeve. 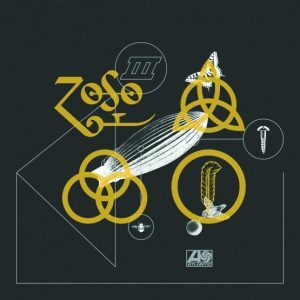 Rhino celebrates 50 years of Led Zeppelin with this 7″ single featuring two previously unreleased tracks on yellow vinyl with large hole and adaptor that can be removed, housed in a printed paperboard sleeve. Side A is Rock And Roll (Sunset Sound Mix), with Friends (Olympic Studios Mix) on the B-side. 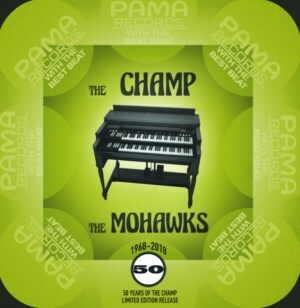 50 years ago, The Mohawks, a group of session musicians assembled by Alan Hawkshaw, released The Champ. This Hammond-infused dance groove went on to be one of the essential hip-hop samples of all time. Originally released in 1968, there’s a Wikipedia page dedicated to the track, and WhoSampled lists 641 tracks that have used its groove – an A list of hip-hop and rap royalty including Eric B & Rakim, Mantronix, Afrika Bambaataa, Onyx, Nas, DJ Shadow, Method Man, Ice Cube, Easy E… and many more besides. Grab a slice of hip-hop history for RSD 2018. Previously unreleased live version of the band’s cult-classic fourth album Boxer, to celebrate its 10th anniversary last year. 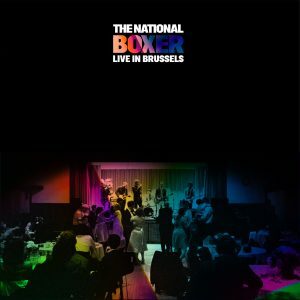 The National performed Boxer in full at Forest National, Brussels, Belgium on 9 November, 2017 during the tour to promote their seventh album Sleep Well Beast. The setlist includes Fake Empire, Slow Show, Mistaken For Strangers, Apartment Story and Squalor Victoria. Released especially for Record Store Day 2018, Boxer Live In Brussels comes on clear vinyl. 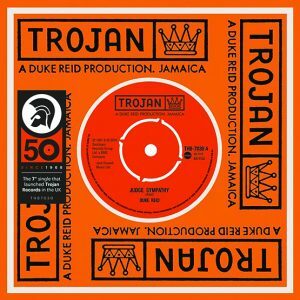 To commemorate the 50th anniversary of Trojan Records, a special coloured-vinyl edition of the first-ever 7″ single to be issued in the UK on a Trojan label. Originally released by Island Records on 28 July 1967, the record features two sought-after rock steady rarities from the legendary catalogue of famed Treasure Isle Records producer Duke Reid, aka ‘The Trojan’. Pressed on orange vinyl and presented in a specially created card sleeve, the record looks as good as it sounds and is sure to become an instant collectors’ item. Exclusive coupling for Record Store Day 2018 featuring stereo mix of No. 2 hit single from 1968. The recently discovered, previously unreleased alternate version of the Ogdens’ Nut Gone Flake title track is exclusive to this RSD single on luminous vinyl in die-cut, crescent moon-shaped picture sleeve. This stereo version of the Small Faces’ most successful UK hit single (originally released in mono) highlights Steve Marriott’s soulful vocals together with astonishing performances by band Ronnie Lane, Ian McLagan and Kenney Jones. This 7″ release previews the eagerly awaited 50th anniversary 3LP boxset edition of Ogdens’ Nut Gone Flake, the legendary No. 1 album released in 1968. 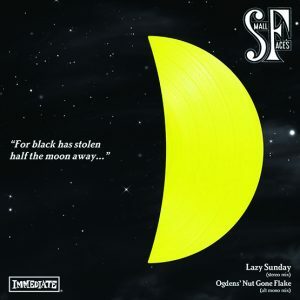 Side 2 of the original LP featured the story of Happiness Stan and his quest for the missing half of the moon, and the collectable crescent moon packaging of Lazy Sunday is a tribute to that. 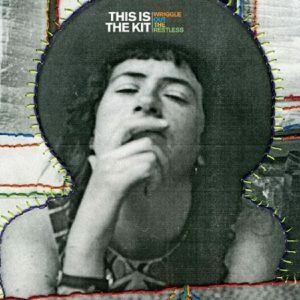 This Is The Kit have had an outstanding 12 months, with their Rough Trade Records debut Moonshine Freeze becoming BBC 6 Music’s most played record of 2017, and making it onto numerous other end-of-year top 10 lists. They also fitted in their most extensive touring to date — both in the UK and abroad, including extensive support dates in London and North America with The National. Wriggle Out The Restless was This Is The Kit’s first breakout release, BBC 6 Music host and Elbow frontman Guy Garvey saying: “It should have been nominated for the Mercury Prize.” This is the record’s first time on vinyl in over a decade, pressed on splattered orange-and-blue vinyl and limited to 700 copies with a download code and exclusive track never before on vinyl, Treehouse, as well as fan-favourite Earthquake. Warsaw was the planned debut album by the English post-punk band prior to becoming Joy Division. Recorded in May 1978, it comprised 11 tracks now known collectively as the RCA Sessions. The band were disappointed with the label’s post-production work and the deal fell through, the album being scrapped. This Warsaw release presents the RCA Sessions (some of which would be released on Joy Division’s debut EP, An Ideal For Living); As You Said from the 1980 Komakino single and the band’s first recorded music, five Warsaw demo tracks from 1977. An interesting historical and musical testimony to Joy Divison’s early artistic qualities, pressed, of course, on black-and-white vinyl.